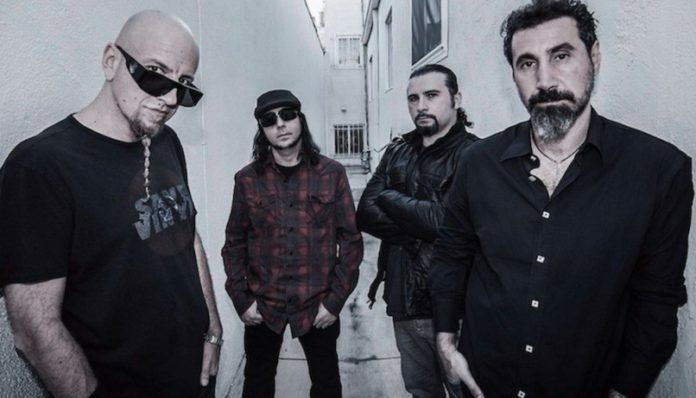 System Of A Down are hitting the road for a handful of tour dates later this year, but the band members reportedly remain at an impasse on recording a new album. And it’s been over a decade since the band last dropped a record. If it feels like we’ve been reporting on System Of A Down finally making new music for quite a while now, well, that’s because we have. But SOAD guitarist Daron Malakian says the band still aren’t seeing eye-to-eye on new jams. And that “one person” who seemingly doesn’t want to record stuff the stock System way appears to be frontman Serj Tankian. The singer “doesn’t want to make an album that way and wants to make an album his way,” says Malakian. The guitarist goes on to explain that not everyone in the band “is on board” with Tankian’s apparently new ideas for making a System Of A Down record. Regardless, go ahead and check out the band’s upcoming tour dates below.